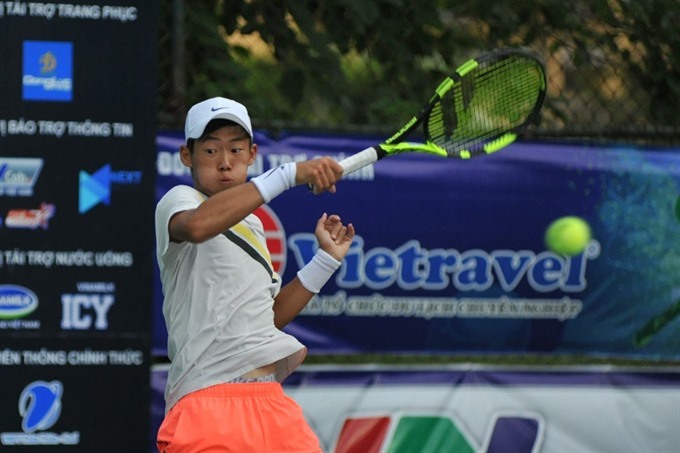 HÀ NỘI — The final of the Vietnam F1 Futures tennis tournament’s singles category was delayed due to poor light yesterday in Huế. It was 5-5 in the second set between the Vietnamese player and No 1 seed Lý Hoàng Nam and his Chinese Taipei rival Chun Hsin Tseng. Nam, world No 459, lost 3-6 in the first set to the world No 1,138 player. The match will be restarted this afternoon at the An Cựu Tennis Club. Earlier on Saturday, Nam and his senior partner, Lê Quốc Khánh, earned the silver medal in the doubles event. The wild card receivers lost 6-7 (5), 4-6 to Hong Kong pair Wong Chun Hun and Yeung Pak Long in an 82-minute final.